*Thank you to a special friend for the inspiration for the title of this post. It seemed too perfect. Two days home from discharge, and we knew something was really wrong. Everett cried nonstop. He was pale. He was sweating through his clothes and mine. And, his breathing was increasingly faster. These were all symptoms of his heart failure. And, he had maxed out his medications. We knew at this point, he wouldn’t be making it to our goal of four months without the surgery. We moved his appointment up with the cardiologist from Friday to Tuesday. They did an echo, and things had changed. To everyone’s surprise, his heart was deteriorating faster than previously estimated. He needed surgery soon. 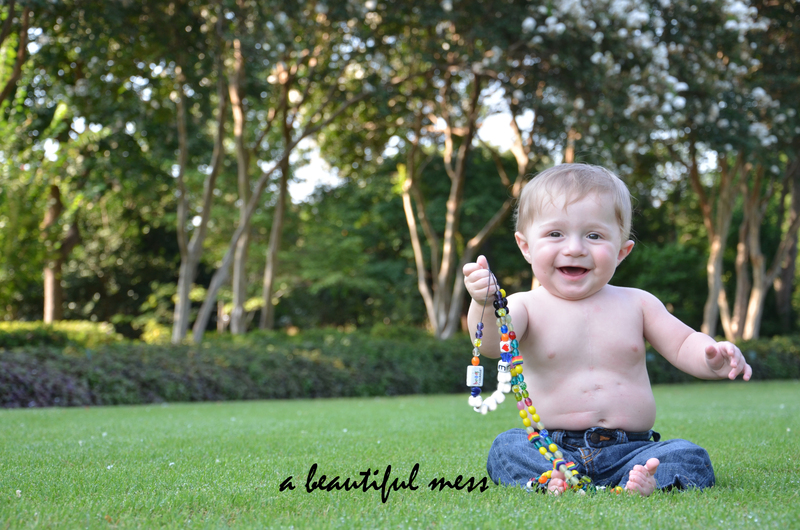 Everett was sent immediately to the Cardiac ICU, where he was started on strong IV medicines. The plan was for him to stabilize for surgery the following week. The week was filled with new monitors, new medications and uncertainty. The Saturday before surgery, he spiked an unexplained fever, and we were no longer sure if he would be able to move forward with the surgery. If he still ran a fever on Sunday, we would have to discuss our options. But, God provided a miracle, and by Saturday night, he was already fever free. It left as quickly as it came on. We didn’t sleep the night before surgery. We both stayed at the hospital, and I stayed in the room with Everett. Early morning came, and the nursing staff prepped him for surgery. As the sun awakened outside his room, sun rays and peace filled that little room, and I knew God would be with this child today. And, then, it was time. It’s an odd experience handing your child over for open heart surgery, feelings of shock, disbelief and terror. As soon as they rolled him away, I broke down. I heaved and sobbed an ugly, ugly cry. Philip and I just held one another, praying for our sweet baby boy. The surgery lasted several hours. Family and friends surrounded us that day, praying for our sweet Everett and keeping our minds from wandering to the “what if” place. I am forever grateful to all of those people. We received updates throughout the day, but the relief came when the surgeon appeared before us. He had finished, and things looked to be successful. But, his valves were in rough condition, and only time will tell if another surgery is needed down the road. We learned that surgery was only half the battle. The 48 hours following would be critical. We were able to see him soon after surgery. I knew he would look rough, and I had prepared myself. But, nothing can really prepare yourself to see your two-month-old fresh from open heart surgery. 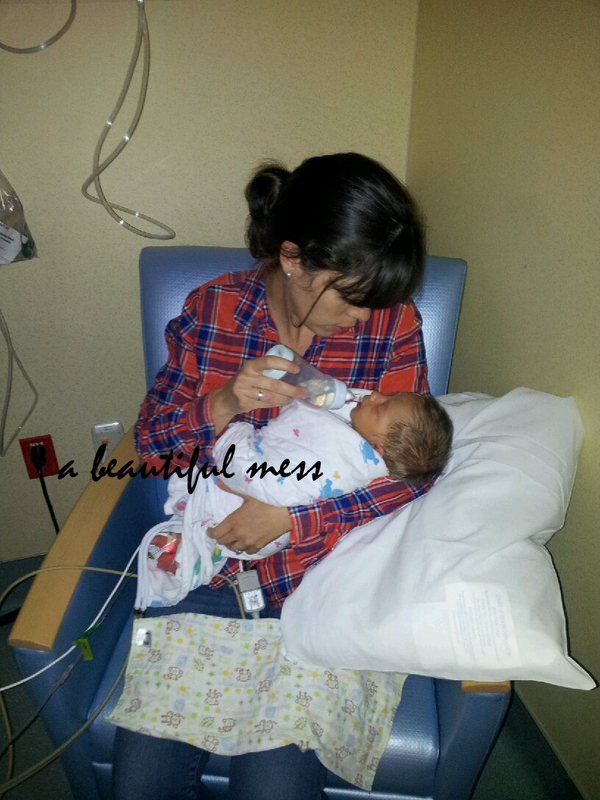 As the nurses busied around him nonstop, I stroked his tiny hand as he lay there so small and helpless. Several minutes passed, and I needed air. I left the room, fell to the floor and sobbed my eyes out. Philip sent the rest of our family away for the day, after I informed him that if anyone else was going to cry in the room with Everett then they were not allowed in. I was not strong enough for anyone else that day, and I just couldn’t bear it. 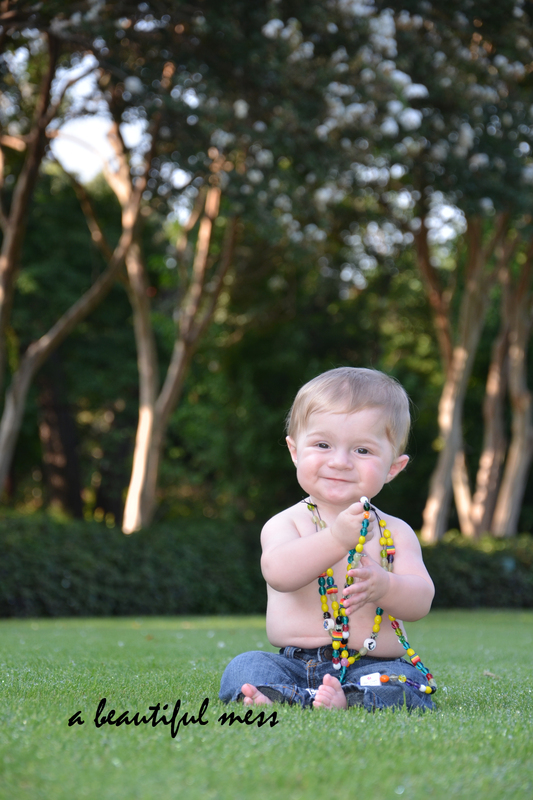 A day after surgery, Everett had already exceeded the surgeon’s expectations. He was off the pacemaker and only required minimal amounts of medications. There is no doubt that he is a fighter. Two days after surgery, I was able to hold him. And, boy, did I hold that baby. The rest of the time in the hospital, I rarely left his side. The nurses would constantly remind me to stay hydrated and urge me to go eat. But, I was with my heart warrior, my little miracle, and I wasn’t going to let him go. And, on the third day, Everett smiled. Not a “Was that gas?” kind of smile, but a full open-mouthed grin. There was color in his face, a light in his eyes, and a smile on his face. The Lord had blessed us. 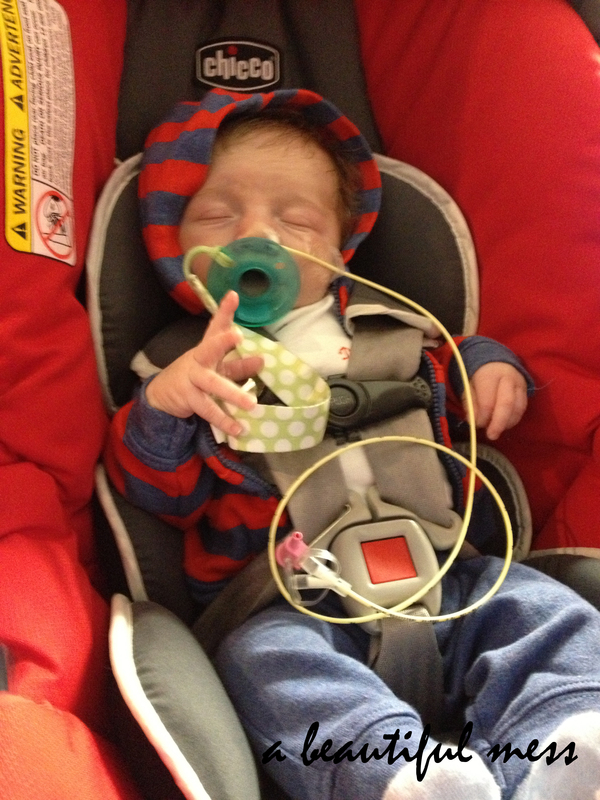 Within a week of surgery, Everett was discharged home. And, this time, it was for good. These past six months have still been filled with struggles, but more so, there has been joy. The joy of being together. The joy of overcoming such huge hurdles. And, the joy of appreciating and loving one another. 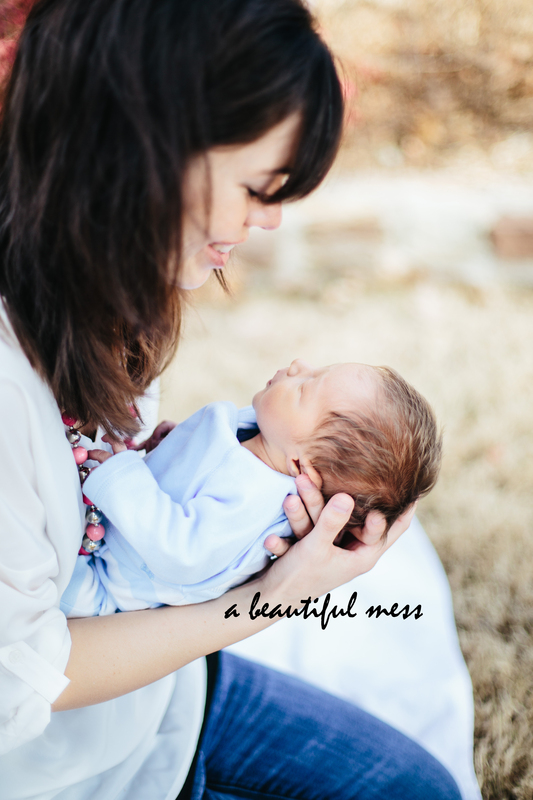 God has indeed blessed us with a beautiful mess. When we first learned of the diagnosis, we cried a lot, and asked God, “Why?” After a particularly difficult last couple years, we couldn’t understand why we were not invincible to this pain, or given a free pass complete with a miraculous cure for our child. At the cardiologist appointment, we had discussed Everett’s weight, and, still, he was not at his birth weight. 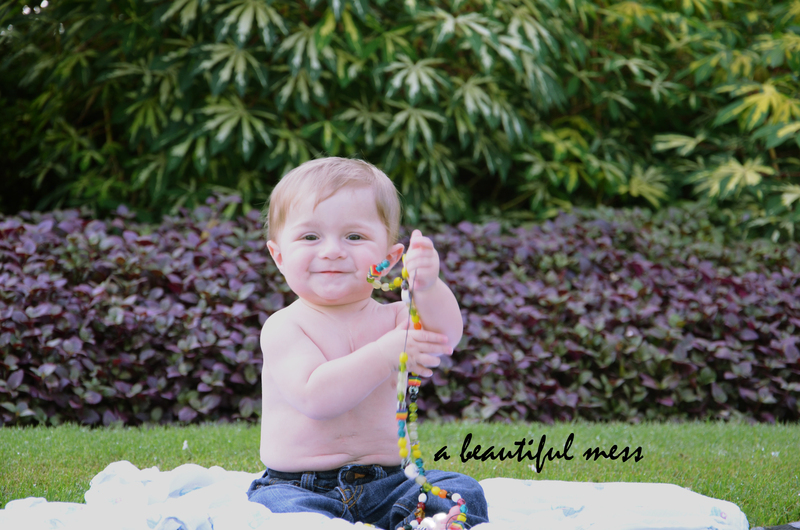 Knowing what our child had to accomplish in a few months, I immediately stopped nursing and started pumping, needing to know why he wasn’t gaining weight and what he was actually taking in. And, I got my answer – an ounce. Total. Thus, began the first inkling of a problem. I pumped overtime to build up my supply, in hopes that at some point Everett would take normal bottles. But, it took lots of coaxing and tears for him to finish the single ounce. And, then the first domino fell. It was late. Austin was in bed, and Everett was extra unhappy this night. We rocked. We walked. We sang. We fed. We swaddled. And, still he screamed. The hubs decided to change his diaper for the hundredth time in hopes he would settle, but, instead he raced to me with a horrified look on his face. 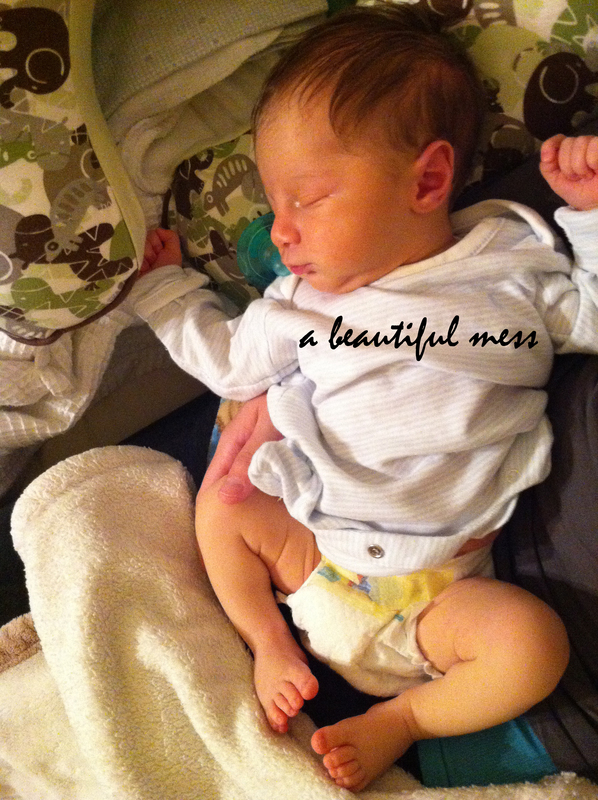 He removed Everett’s diaper, and there it was… a hernia… on our three-week-old. We immediately called the pediatrician who asked us “if we could push it back in.” Uh, push it back in? Negatory, doc. So, off we went to round one at the ER. The doctor confirmed it was a hernia and tried to reduce it – aka shove it back in – with no luck. At this point, he made a phone call to discuss surgery options at its downtown hospital. We waited… impatiently… for a decision. Finally, the doctor returned and decided to try again, motivated by teasing from fellow colleagues who couldn’t believe this doctor couldn’t reduce a hernia on a three-week-old. That’s the kind of care a parent can only hope for, right? He was successful this time and sent us off with information to set up a consultation with a surgeon. The next morning, Friday, a consultation was scheduled for the following Wednesday. Between a screaming baby and having to reduce the hernia every hour or more, this seemed a lifetime away. That night, things were bad. Every 15 minutes, we had to reduce it, and Everett was inconsolable. Feeling helpless, we headed back to the ER, except this time we went to the downtown hospital where we knew they could do surgery if needed. That weekend was long. Everett cried a lot, and, at this point, began screaming when we tried to feed him and was progressively breathing faster. There we were with our newborn, not knowing how to care for this fragile child, but doing the best we could. Relief came on Monday when my dad used a connection to get us in with a pediatric surgeon that same afternoon. The surgeon was excellent, and he worked out of a different hospital in town. The hospital we now love. Surgery was scheduled for the following day. To say we were nervous would be an understatement. Ideally, a hernia repair would follow a heart repair, but it couldn’t wait. Everett’s cardiologist was hopeful his poor eating could be attributed to the hernia, and this could potentially solve our problems. The surgery was a success despite running slightly over his projected time. He was discharged in the morning with several new medications, a diagnosis of reflux, and instructions on how to create high calorie bottles. Several days passed, and we found ourselves nowhere. The domino effect had truly begun. The hubs had left town on business, and that same evening I placed a call to the cardiologist. Everett’s breathing was irregular, and he still wasn’t eating. We were sent to the ER, where he told us he would most likely be admitted, if for nothing else, to place an NG tube to help pack on the ounces. It was a terrifying experience. I cradled my baby, trying to calm him, and cried in the arms of a friend as they placed the tube and listened to my child’s gut wrenching cry. After struggling to find an open flight, Philip arrived the following morning off the first flight he was able to book. One day turned into two, and two into three. Everett not only fought feedings, but now began vomiting most of his bottles. The first GI doctor saw him on day two and promptly diagnosed him with a food allergy, and that was that – this is about the time I officially chunked the pump. Still he vomited on the new formula, and nothing changed. The next doctor took a closer look and ordered an upper GI scan. And, that’s what was needed. 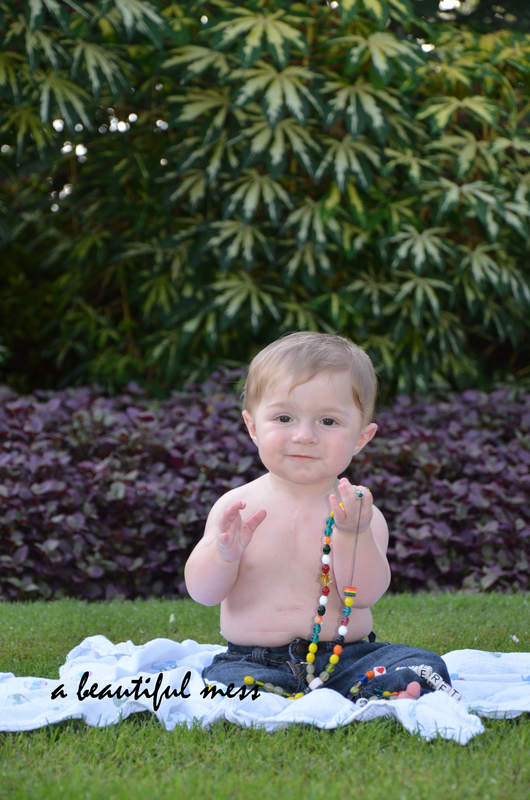 Everett was diagnosed with an intestinal malrotation. Another surgery. And, this one was urgent. On day five, at five weeks old, he underwent his second surgery, and, again, we were hopeful this would solve his feeding issues. We lived day to day, switching between the hospital and spending “quality” time with our other son. If I was with Everett, I missed Austin. If I was with Austin, I missed Everett. We were tired and not getting the response we had hoped for with Everett. 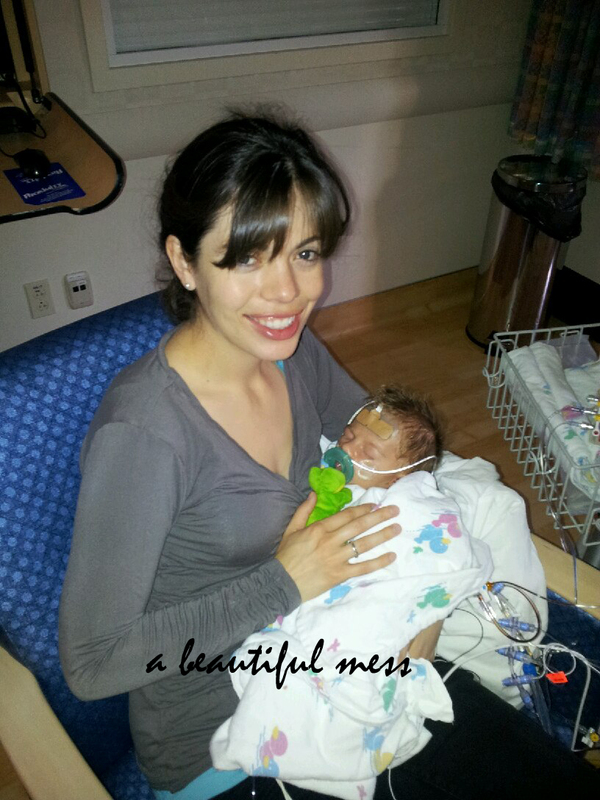 He saw an OT every day to work on bottle feeding, but most feedings were administered through the NG tube. By day ten, we were done. It felt like nothing was changing and nobody cared. We knew something was not right, but it was hard to express that when doctors dropped by haphazardly and only stayed two minutes to answer all your questions. And, that’s when I lost it. I threw a fit. I let it out. Everything that had been bottled up, nodding and agreeing, and trying to remain calm about the hell my son was going through, came out. I wanted to talk to Everett’s doctor. No, not the doctor on call, his doctor. A nurse tried to play interference, and I explained to her that we were done. There was no reason for us to be here because it felt like nobody was doing anything and the doctors were not working together. We had both dropped the NG tube multiple times. We had been trained on the pump. We were sitting and waiting and nothing was happening. We had voiced concerns but they were always written off. So, why are we here, with no comforts of home, trekking back and forth from one child to another? Why are we here if nothing is going to change? They did get me on the phone with Everett’s doctor, and I cried, and he apologized for the way things were going (p.s. I really do love E’s doctors and they are fantastic). The next day, there was a new plan – something that actually seemed to finally make a difference. He was vomiting less and appeared to be gaining a little weight. 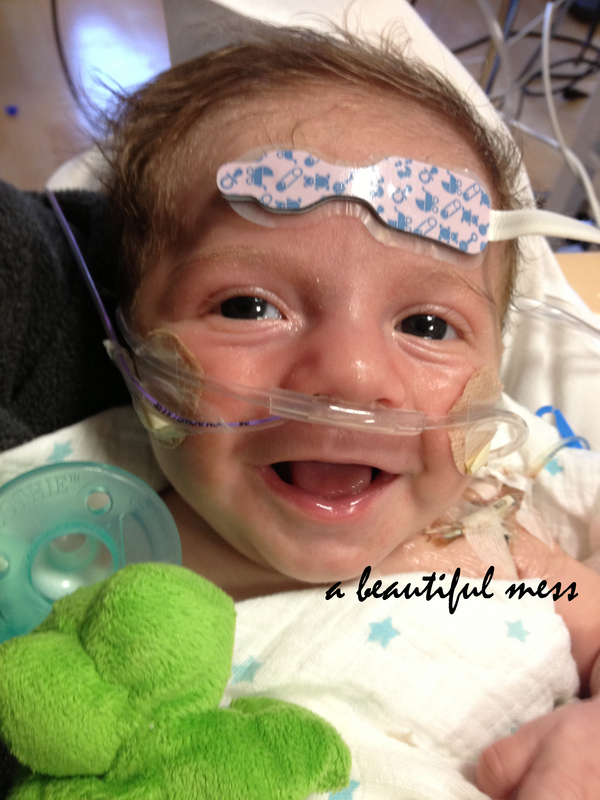 On day 14, Everett was discharged with the NG tube… only to return three days later. This time to the Cardiac ICU. It’s been six months since our sweet Everett began to live. His birth certificate may say January, but a part of me feels like March 11 was his true birthday. It is certainly a day I will always celebrate along with his given birthday. This is the day Everett’s heart became whole. The day his life changed for the better. After two months of constant struggles, for the first time in his little life, he could breathe easy and finally found life worth smiling about. We should have known Everett was going to give us a run for our money even before he was born. At 38 weeks pregnant, I went to my regular OB appointment, feeling large and ready to gripe about evicting this child. Everything was running smoothly until we listened for his heartbeat. Immediately, I noticed the tempo was far slower than normal. My doctor continued to listen but remained silent, until I sputtered out, “Is that kind of slow for him?” And, at that point, his little heart began pounding away normally once again. After a couple more heart decelerations, my doctor decided it best to head straight over to the hospital, and since I was already at 4 cm, we would induce. Talk about a surprise for the hubs. From there, everything was a breeze. God had blessed us with our second beautiful, healthy little boy. He passed every test with flying colors and nursed like a champ from the beginning. Life was normal, well, our new normal, for two weeks. I took Everett to his two week well check and chatted about his progress. He was still several ounces below his birth weight, but the pedi didn’t seem concerned since he appeared to be nursing quite well. Then, she listened to his heart, and my own heart sank as she listened, then listened again. She noted there was a loud murmur, and we discussed whether it was best to wait and see or consult with a pediatric cardiologist. We chose the latter. I first called the hubs and family, trying to stay positive and calm, convincing myself this would be nothing. It had to be. No sooner had I walked in the door then I found myself dialing the number for the cardiologist. I fumbled on the phone, unsure of what to say in such a foreign situation. Amazingly, they had an opening the next morning. Still convinced it would be no big deal, I decided to schedule Everett’s two week labs immediately after the appointment since I would be at the hospital. How naive, I see, in hindsight. I arrived late for the appointment, of course, still learning to navigate how to leave the house while tending to two children. I forgot to fill out the paperwork, and I ran off without my driver’s license. Thankfully, I still had an old license that they accepted as my picture id. Needless to say, I was a bit frazzled. The appointment lasted an eternity. I thought we would never see the doctor. I was anxious to receive the all clear and move on with our lives. He finally sat down with Everett and I, and I knew this was all wrong. I stared at him blankly as he told me my son’s heart has a problem. He was diagnosed with an Atrioventricular canal (AV canal) defect. This is a combination of problems that result in a large defect in the center of the heart. There is a hole between the chambers of the heart and problems with the valves that regulate blood flow in the heart. AV canal occurs in two out of 10,000 births and is often associated with Down syndrome. E does not have Down’s. He would need surgery – ideally, at four to six months. The plan was for Everett to double his birth weight before surgery would happen. But, God had other plans. Below is a visual explanation of AV canal that I found online via the Cardiac Center at The Children’s Hospital of Philadelphia.